Magento 2.0 ecommerce platform was launched in November 2015. The update is a complete revamp of the popular Magento 1.x, featuring both front-end and back-end improvements. We’ve already had a post on why you should consider migrating to Magento 2.0, but here are a few more reasons why you should schedule this upgrade in 2016. Test results reveal that on average Magento 2 outperforms its predecessor by 20%. 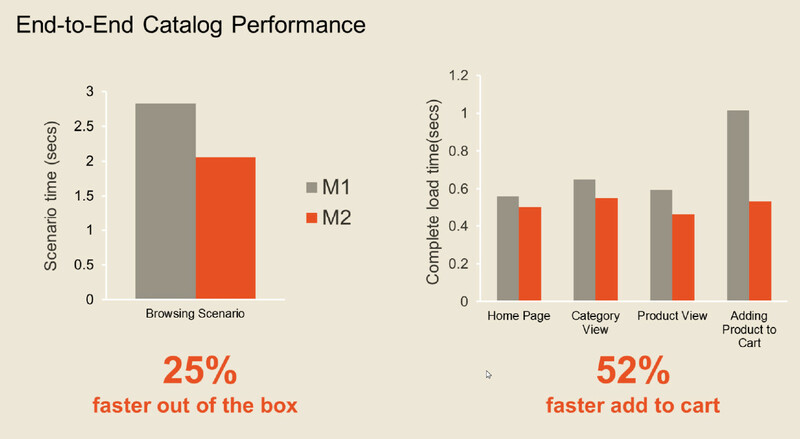 Page load time will also reduce significantly. If your average page loading time with Magento 1x was around 4-6 seconds, upgrading to v. 2 will reduce it to 1-2 seconds. That is a huge improvement by all means, as several case studies have shown slow page loading to be among the most common reasons for people leaving your website. Increased performance will largely be attributed to the fact that the new version utilizes full page caching. 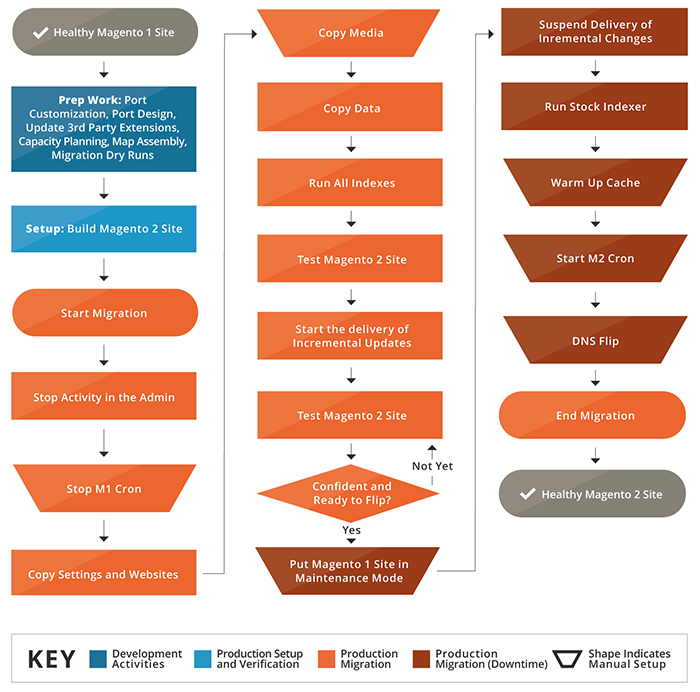 If you don’t want to migrate to Magento 2.0 this year – you don’t have to. But you’re bound to do it sooner or later. Magento 1x platform will be supported for 3 more years – until 2018. So if you don’t schedule an upgrade this year, you’ll have to do it in 2017 or 2018. Magento will also focus on developing v. 2, which means that no new major updates or features are expected to be revealed for its predecessor. Basically, Magento 1x will go into maintenance mode. Magento’s new platform has a great potential of flexibility for developers to utilize. Major features, such as CRM, sales or checkout can be enabled or disabled without significant code-base changes. Magento’s developers have also worked on the platform’s Testing Framework so that functionality tests could be conducted easier than before. This might concern developers more than shop owners, but it’s still worth mentioning that Magento 2 supports such popular technologies as HTML5, JQuery, CSS3, and RequireJS and Apache 2.2. Visual Design Editor will allow those without much technical knowledge to modify blocks and containers of the website via admin panel. Another thing Magento has put some thought into is improving the checkout process. Registered customers will no longer need to remember the password to enter the website once they log out. Ordering has also been improved and the field where the user was asked to choose credit card type has been removed. Shipping rates, at least for US users, are calculated automatically after filling in the Zip code. “City” and “State” fields are also filled in automatically based on the Zip code. “Luma”, Magento’s new default theme, has a few refreshing changes compared to its predecessor. New typography, mobile-friendly images and tiles structure are eye-catching and make the websites look a lot trendier. Several important improvements have also been made to the admin panel, including a touch-friendly interface. This feature will allow owners to track their online store’s performance and sales at any place from a smartphone or tablet. As stated above, Magento will continue working on improvements to its new platform. The vendor has already revealed a roadmap including performance and scaleability updates, functionality enhancements, admin panel usability improvements and more B2B features all scheduled for the first half of 2016. Promotions, analytics and reporting, workflow, merchandising and order management areas of the platform will also get their respective improvements later this year. Customer’s experience is the cornerstone of the new platform. Magento 2.0 developers realized and utilized the fact that shoppers demand personalized and engaging experience and want to access the website from any device without any difficulties. Magento’s new ecommerce platform also allows creating websites supported by devices with various screen resolutions. Magento 2 relies on different structure and format of database data storage comparing to its predecessor. The difficulty of migrating to Magento 2 will depend on the level of your shop’s customization. The lower it is – the easier it will be to install this upgrade. Transition will also depend on the size of your shop. In general, migration flow is illustrated by this diagram. Migration process can be divided into 4 parts: data, extensions, themes and customizations. It will be relatively easy to transfer core data (customer info, products, configs, and orders) from your Magento 1x store to Magento 2 with the help of Data Migration Tool released by the vendor. You will also need to install all 3rd party extension updates separately once they are available on Magento Marketplace. The hardest part will be re-installing themes and customizations as their structure is different. If your store utilizes custom models, they’ll need to be rebuilt to work with Magento 2. 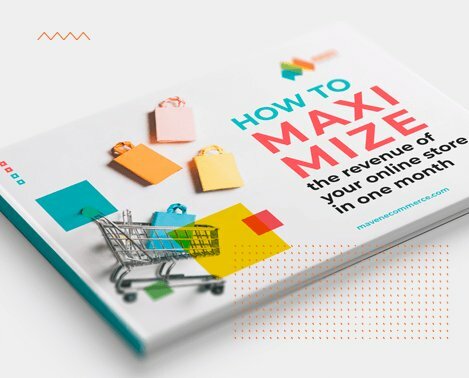 Find out more helpful tips on MavenEcommerce Blog. Need help figuring them out?